Flirty and playful, Neiman Marcus’ amazing collection of designer swimwear will surely rev up your wardrobe. With so many styles and prints to choose from, finding your favorite swimwear just got easier. Plunging necklines, bright colors, and alluring silhouettes are the highlights of our selection of one-piece and two-piece swimsuits. To add freshness to your ensemble, our multi-colored swimsuits in vibrant floral designs are an excellent choice. For beach-side brunches and barbecue parties, show off some feminine flair with our stylish coverups. Simply team them with oversized sunglasses, flip-flops, and wide brim straw hats to sport a boho chic look. Shop Neiman Marcus for contemporary fashion swimwear. Karla Colletto one-piece swimsuit in solid microfiber. V neckline; lace-up front at center gore. Underwire cups for support. Scoop back. Karla Colletto one-piece swimsuit in solid microfiber. V neckline; lace-up front at center gore. Underwire cups for support. Scoop back. Classic silhouette. Full seat coverage. Nylon/Xtra Life Lycra?? spandex. Made in USA of Italian material. Model's measurements: Height 5'11"/180cm, bust 34"/86cm, waist 24"/61cm, hips 34"/86cm, dress size US 2. Norma Kamali Bill maillot in ruched microfiber. Sweetheart halter neckline. Full seat coverage. Nylon/spandex; hand wash. Made in USA of imported material. Model's measurements: Height 5'9"/175cm, bust 32"/81cm, waist 23.5"/60cm, hips 34"/86cm, dress size US 2/4, bra size 32B. 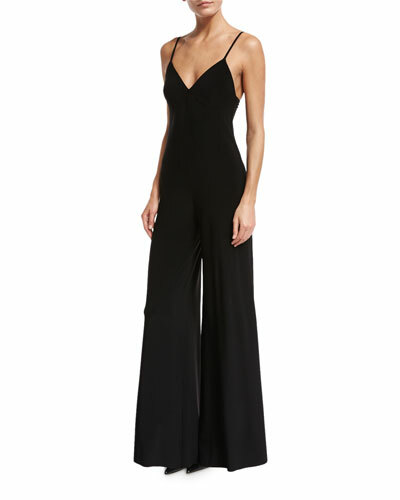 Norma Kamali one-piece swimsuit in solid microfiber. Scoop neckline. Deep scoop back with lace-up, crisscross back. High-cut leg openings. Full seat coverage. Nylon/spandex. Made in USA. Model's measurements: Height 5'9"/175cm, bust 32"/81cm, waist 23.5"/60cm, hips 34"/86cm, dress size US 2/4, bra size 32B. OYE Swimwear "Esther" swimsuit in microfiber with mesh top. Boat neckline; strappy front. Scoop-back illusion. Full seat coverage. Nylon/spandex. Imported. OYE Swimwear "Esther" swimsuit in microfiber with mesh top. Boat neckline; strappy front. Scoop-back illusion. Full seat coverage. Nylon/spandex. Imported. Model's measurements: Height 5'9.5"/176cm, bust 32"/81cm, waist 25"/64cm, hips 35.5"/90cm, bra size 32B, dress size US 4.